Our podiatrist Northwest Indiana practice alleviates diabetic neuropathy, pinched nerves and nerve pain in the foot and ankle using a variety of treatment options including the Dellon nerve release surgery procedures. We are proud to offer the Dellon nerve release surgery to the Chicago, Illinois and Northwest Indiana area. By the way, you can feel confident in your care at Friendly Foot Care as we have had the honor of earning the “Best Podiatrist” award from the Post-Tribune and “Best of the Region” from the NWI Times repeatedly – in fact, an amazing nine times! 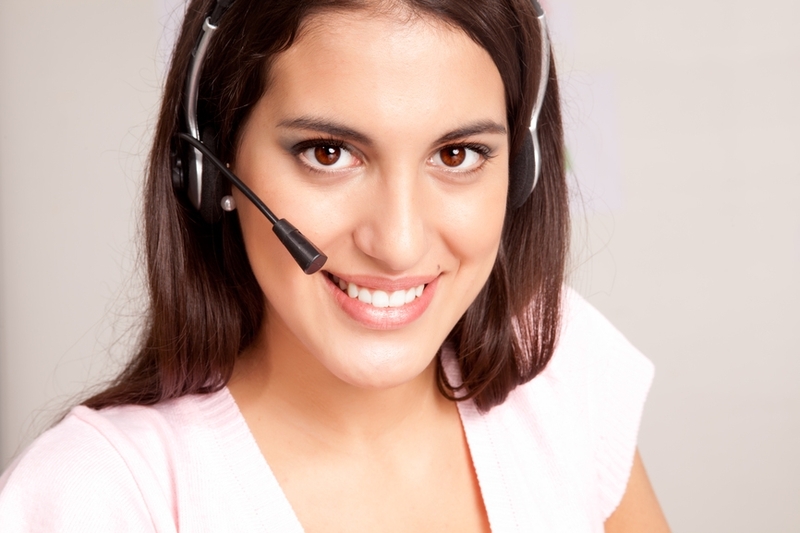 Read patient reviews of our care by clicking here. The Dellon nerve release surgery procedures were developed by renowned peripheral neurosurgeon Dr. Lee Dellon. Dr. Dellon is a pioneer in alleviating nerve problems and diabetic neuropathy. 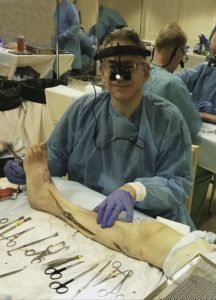 Dr. Nirenberg participated in peripheral nerve surgery training by Dr. Dellon at his Dellon Institute for Peripheral Nerve Surgery in Baltimore. To learn more about the Dr. Dellon Institute for Peripheral Nerve Surgery and the Dellon nerve release procedures you can visit his website by clicking here. Dr. Nirenberg is a Fellow of the Association of Extremity Nerve Surgeons (AENS). The Association of Extremity Nerve Surgeons (AENS) is focused on helping alleviate extremity nerve problems, such as pinched nerves in the foot, ankle and leg. Dr. Nirenberg has completed “hands-on” peripheral nerve training with the Association of Extremity Nerve Surgeons as well as one its founding members, Dr. Lee Dellon. Treatment of peripheral nerve problems may alleviate pain, numbness, burning, cramping, shooting and other nerve or neuropathy-related problems. Though neuropathy cannot be prevented, treatment can sometimes lessen or alleviate the pain and symptoms. For people in Chicago, Illinois or Northwest Indiana who are unable to go to Baltimore for the Dellon nerve release surgery they now have the option of visiting our office, about an hour from Chicago, for evaluation and treatment of nerve problems and neuropathy of the feet. Our podiatrist Northwest Indiana office treats people with nerve problems from all over Indiana, Illinois and Chicago. If you need a podiatrist in Valparaiso, Crown Point, Merrillville, Schererville, Griffith, Dyer, Gary, Portage, St. John, Schererville, Highland, Lowell, Chesterton, Cedar Lake, Wheatfield, Hobart, Hammond, Munster, Lafayette, Michigan City, Kouts, East Chicago and Valparaiso, and Chicago! Make an appointment now – CLICK HERE! Neuropathy and “pinched” nerves or nerve entrapments, including tarsal tunnel syndrome and neuroma pain, can cause you to experience cramping, burning, tingling, numbness, “pins and needles” or other painful abnormal sensations. Nerve problems are commonly treated at our Northwest Indiana podiatrist office. Our State of Indiana licensed podiatrists recognize the importance of treating nerve pain and neuropathy, particularly diabetic neuropathy. Neuropathy can be the result of diabetes and diabetics tend to get neuropathy (“diabetic neuropathy”) more than people with other medical issues, however, neuropathy can be caused by other medical issues or the reason may not always be known. Neuropathy or diabetic neuropathy may contribute to people developing infections (including a diabetic foot infection) and sores and ultimately losing a toe or their whole foot to gangrene. When the nerves lose their sensation the person loses their ability to feel sores and infections starting in their foot. Neuropathy can also cause the muscles in the foot to lose their ability to work, and they might waste away or atrophy. This muscle wasting causes the shape of the foot to change and alters the way the person walks. This alteration of shape and the way the person walks, makes it more likely that they will develop sores or infections. Preventing and/or reversing the symptoms of neuropathy is one of the main ways to prevent amputations in the foot or toes. If you are noticing a loss of sensation in your feet or burning or tingling (pins and needles), you may benefit from the Dellon surgery procedure. If you need an Indiana podiatrist in Schererville, podiatrist or foot doctor in Munster, in Merrillville, or a podiatrist in Dyer, podiatrist in Valparaiso, in East Chicago, in Portage, or a foot doctor or a podiatrist in Gary, or a podiatrist in Highland, or a podiatrist in Cedar Lake, or a podiatrist in St. John, foot doctor or podiatrist in Hobart, or a podiatrist in Hammond, in DeMotte, or a podiatrist in Griffith, we are nearby and worth the drive! (Click Here for directions). Tarsal tunnel syndrome treatment is provided at our Northwest Indiana Podiatrist office. Tarsal tunnel syndrome may cause pain our heel, arch, ball of the foot and toes. Tarsal tunnel syndrome pain may be a burning, tingling, shooting, numbness or cramping pain in the arch, toes or ball of the foot. Tarsal tunnel syndrome can cause pain when walking or even while resting or trying to sleep. Some people describe tarsal tunnel syndrome as a stabbing pain, sharp pain or even itching sensation. Tarsal tunnel syndrome is a pinched nerve or compression of a nerve (or nerve entrapment) of the the posterior tibial nerve. The tarsal tunnel is located at the inside of the ankle and foot and when the tarsal tunnel compresses the nerve tarsal tunnel syndrome results and you may end up experiencing cramping, burning, numbness, stabbing pain in your arch, ball of foot, and toes. Tarsal tunnel syndrome treatment is aimed at conservatively alleviating and relieving the pain of tarsal tunnel syndrome. Tarsal tunnel treatment may involve realigning the biomechanics of the foot to alleviate the compression of the nerve (alleviate the pinched nerve) at the tarsal tunnel. Other tarsal tunnel syndrome treatment may include medication, appropriate footwear or injections. 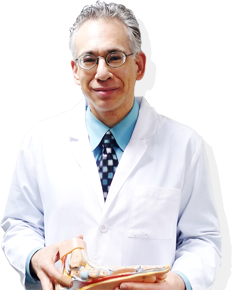 Tarsal tunnel syndrome surgery or tarsal tunnel surgery is available by Dr. Nirenberg, one of our expert podiatrists. 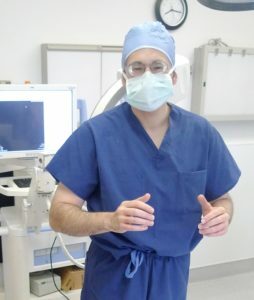 Dr. Nirenberg learned techniques of tarsal tunnel surgery (tarsal tunnel syndrome surgery) first hand from Dr. Lee Dellon, one of the foremost neurosurgeons in the United States. Tarsal tunnel surgery (tarsal tunnel syndrome surgery) involves a thorough, elegant release of the compressed nerve (pinched nerve) at the tarsal tunnel on the inside of the ankle and foot. Tarsal tunnel surgery (tarsal tunnel syndrome surgery) is done on an outpatient basis and patient go home the same day. Tarsal tunnel surgery (tarsal tunnel syndrome surgery) provide immediate relief for some people — within a day or two on some occasions; while other people get relief over time. Tarsal tunnel surgery can be life-changing, though it does not work for everyone. If you need tarsal tunnel syndrome relief or tarsal tunnel surgery make an appointment for treatment at our Northwest Indiana podiatrist office today! Call (219)663-227. Neuroma treatment or Morton’s neuroma treatment is available at our Northwest Indiana podiatrist office. Neuroma treatment (Morton’s neuroma treatment) is very advanced these days. A neuroma or Morton’s neuroma can cause pain in the ball of the foot, pain in the toes, or even pain in the arch. Neuroma or Morton’s neuroma pain in the ball of the foot or pain in the toes may feel like cramping, burning, shooting, stabbing, tingling, radiating, electric shock, sharp, or even like a pebble, lump, itching sensation, or a sock rolled up under the toes. The feeling of a sock rolled up under the toes or numbness in the toes, burning in the toes or tingling in the toes are common symptoms that our neuroma (Morton’s neuroma) patients relate to our podiatrists. Pain in the ball of the foot from a neuroma can be worse when trying to walk or pain in the ball of the foot or toes can be worse when trying to rest or even fall asleep. A neuroma is a pinched nerve in the ball of the foot typically though a neuroma can occur in many locations in the toes, arch, ball of the foot and ankle. Entrapment or compression of the nerve in the ball of the foot is most neuroma our Northwest Indiana podiatrist office treats. The neuroma causing the ball of the foot pain is often the result of the nerve becoming thickened and then as it is compressed or pinched by the surrounding bones and tissue, the nerve becomes irritated. The irritation of the nerve irritation or outright entrapment of the nerve, possibly in scar tissue or a painful scar, causes a painful neuroma to form in the foot. Neuroma pain can be very painful, and the neuroma may send sharp, shooting, electric shock type pain to the toes and possibly into the arch or in case of a neuroma elsewhere, the pain can shoot or radiate in various locations. Neuroma pain in the ball of the foot and toes may also present as a dull ache, throbbing, a discomfort or soreness as well. Some people with neuroma pain have pain when trying to walk that is worse when they put on a shoe. Neuroma pain is often between the third and fourth toes, but can occur at any of the toes or multiple toes. When a neuroma is between the third and fourth toes or between the third and fourth metatarsal bones in the ball of the foot it is called a Morton’s neuroma. Though whether you need Morton’s neuroma treatment or neuroma treatment (when the nerve compression and irritation is at other toes), the neuroma treatment provided by our podiatrist is generally the same. Neuroma treatment for an intermetatarsal neuroma is the same as neuroma treatment for Morton’s neuroma and other toe neuroma pain. An intermetatarsal neuroma is just another way of describing a neuroma in the ball of foot. The word intermetatarsal neuroma simply emphasizes that the neuroma is between the metatarsal bones in the ball of the foot. Neuroma treatment (Morton Neuroma treatment) involves conservative measures usually. Neuroma relief can often be obtained by realigning the foot’s abnormal biomechanics by fabricating our patients with a custom made arch support called a foot orthotic. Some neuroma treatment measures involved medication or an injection. Some people need a cortisone injection and other neuroma treatment injections may involve injecting alcohol into the neuroma (Morton’s neuroma). Neuroma treatment measures that are conservative provide neuroma relief for most people. Neuroma treatment may also involve neuroma surgery (Morton’s neuroma surgery). Neuroma surgery (Morton’s neuroma surgery) is very advanced nowadays. Neuroma surgery (Morton’s neuroma surgery or intermetatarsal surgery) is offered by our podiatrists when conservative methods to alleviate your neuroma pain and provide you with relief are not successful. Neuroma surgery by our podiatrists requires the skillful release or decompression (or removal) of the painful neuroma during an outpatient surgery. Most neuroma surgery is done relatively quickly though some neuroma surgery takes a little longer. Either way, after a neuroma surgery is over you go home the same day. Some neuroma problems our podiatrist office treats is the result of scar tissue or prior surgery entrapping a nerve or pinching a nerve, and our podiatrist will need to do surgery to release or decompress the neuroma or Morton’s neuroma. Neuroma decompression surgery (or neuroma release surgery) is also done by our podiatrist on an outpatient basis. Neuroma decompression can alleviate the neuroma pain, including burning, tingling, cramping, numbness that your neuroma is causing you (though does not work for eveyone). If neuroma decompression surgery is not an option you may need the neuroma surgically removed or surgery to excise (take out) the neuroma. Our podiatrist Northwest Indiana office is skilled at performing simple, elegant surgery and procedures to alleviate neuroma pain and tarsal tunnel syndrome, including the Dellon nerve release surgery procedures and methods. Dr. Nirenberg studied with Dr. Dellon at the Dellon Institute for Peripheral Nerve surgery where he learned the Dellon nerve release surgery procedures directly from Dr. Dellon. If you suffer with nerve issues or a neuroma (Morton’s neuroma or intermetatarsal neuroma) call us today! – Call (219)663-2273. Pinched nerve pain can be excruciating. Dr. Nirenberg is a Fellow of the Association of Extremity Nerve Surgeons and has the training to address pinched nerve pain and pinched nerves causing foot pain. Injury to the foot or ankle can cause a pinched nerve or injury to a nerve resulting in nerve pain. An injured nerve can occur after a foot or ankle sprain, strain, contusion, fracture, tight shoes or surgery. Sometimes scar tissue after a foot or ankle surgery can cause injury to a nerve. An injured nerve in the foot or ankle can can cause sharp pain, shooting pain, numbness, tingling, cramping pain, burning pain or stabbing pain. Persons who have an injured nerve may have trouble walking and may even limp from a painful injured nerve. Often, pinched nerves or injured nerve in that affect the foot include entrapment of the nerve in a “tunnel” in the foot, ankle or leg. Sometimes a pinched nerve causing foot pain is the result of an injury or walking abnormally (altered biomechanics of the foot) or it can be the result of scar tissue from surgery. Pinched nerve problems can be challenging to treat. The doctor may treat pinched nerves with medications, injections or by making you custom made foot orthotics. Surgery to decompress pinched nerves is also done at times. Decompression of a pinched nerve or a nerve entrapment is performed on an out-patient basis. The patient with the nerve entrapment will often receive sedation or general anesthesia and after our podiatrist has released or decompressed the nerve entrapment, the patient typically goes home a short time later. Foot drop or drop foot correction may be an option for you if you have a foot drop or a weakness of pulling up your foot when walking. Read more on our foot drop correction page or come in for a visit if you suffer with this problem. Dr. Lee Dellon spent a lifetime studying ways to help alleviate peripheral nerve pain and developed the Dellon nerve release surgery procedures for diabetic neuropathy relief and other nerve problems. Dr. Nirenberg was educated on the Dellon nerve release surgery procedures directly from Dr. Lee Dellon at the Dellon Institute for Peripheral Nerve Surgery. These Dellon nerve release procedures developed by Dr. Dellon are elegant surgery methods that can alleviate nerve and neuropathy pain, including diabetic neuropathy. Dr. Nirenberg utilizes these Dellon nerve release surgery methods that he learned directly from Dr. Dellon to help patients with pinched nerves or neuropathy. The Dellon surgery for neuropathy or nerve entrapments of the foot and ankle can be done by Dr. Nirenberg on an out-patient foot surgery basis and usually takes about an hour. The Dellon nerve release surgery for neuropathy and diabetic neuropathy and other Dellon nerve release procedures have alleviated pain, numbness and burning in the foot and ankle of many patients, however, patients should keep in mind that no surgery works for everyone and the Dellon nerve release surgery procedures do not work for everyone, nor are they suitable for everyone. Our podiatrist Northwest Indiana office provides the Dellon nerve release surgery for people from Valparaiso, Crown Point, Merrillville, Schererville, Griffith, Dyer, Gary, Portage, St. John, Schererville, Cedar Lake, Highland, Lowell, Chesterton, Wheatfield, Hobart, Munster, Hammond, Lafayette, Michigan City, Kouts, East Chicago and Valparaiso, and Chicago! Call (219)663-2273 or make an appointment now by CLICKING HERE! For some foot and ankle nerve entrapment problems, the Dellon nerve release surgery techniques for neuropathy and nerve problems may be beneficial for you and covered by your insurance, however, for diabetic neuropathy some insurance carriers may not pay for the Dellon nerve release surgery. To accommodate patients who wish to have the Dellon nerve release surgery procedures, our Northwest Indiana podiatrist office offers a low-cost, reduced cash price and a affordable payment plan. Last, if another doctor is treating your nerve problem and you want a second opinion podiatrist evaluation, please call us at (219)663-2273. If you are looking for an expert podiatrist in Schererville, podiatrist in Munster, in Merrillville, or a podiatrist in Dyer, podiatrist in Valparaiso, or a foot doctor or podiatrist in East Chicago, or in Portage, or a foot doctor or a podiatrist in Gary, or a podiatrist in Highland, or a podiatrist in Cedar Lake, or a podiatrist in St. John, foot doctor or podiatrist in Hobart, podiatrist in Munster, or a podiatrist in Hammond, or a podiatrist in Griffith, we are close and worth the drive! (Click Here for directions).